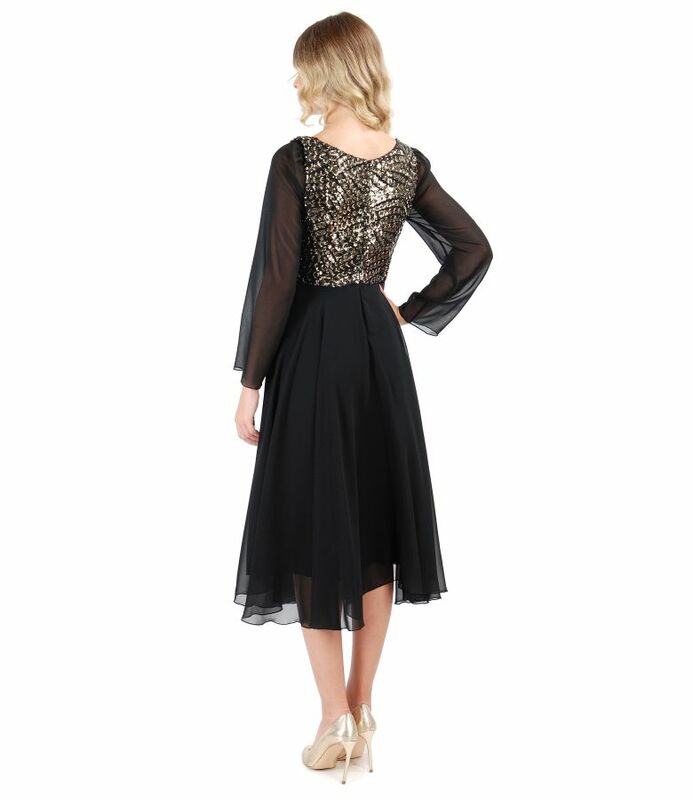 Veil dress with sequins corsage, padded, with long sleeves and V low-cut neck. Closes with hidden zipper on the middle back. The model has a height of 1,74m wears size 36, and is wearing size 36.